It's almost been a month since I posted my last Empties post, I finally have some more products added up. It's not a lot, but I've been making a dent in the items that I do have, which is the whole point to this empties thing. I find making these posts really encourage me to use up older products instead of rushing out and trying the newest thing. As exciting as it is to try new products, unfortunately my wallet can't handle it! 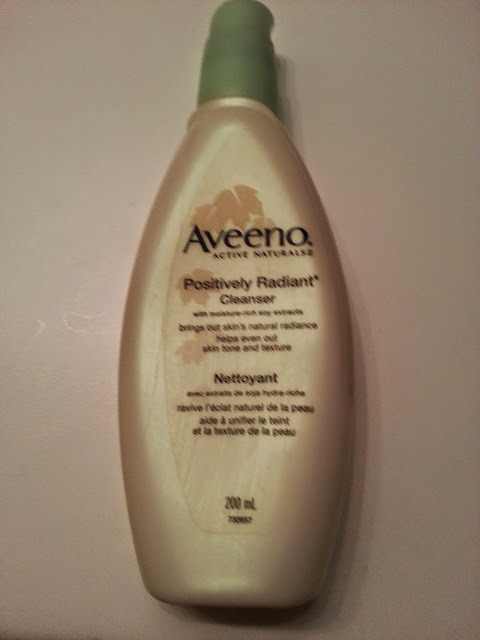 What I loved about this cleanser, was that it was so gentle on my skin. It didn't overly foam, and wasn't overly creamy. It was the perfect consistency for my dry skin. I believe this one says it has soy extracts, I had previously tried it from a friend, and decided to buy one for myself. 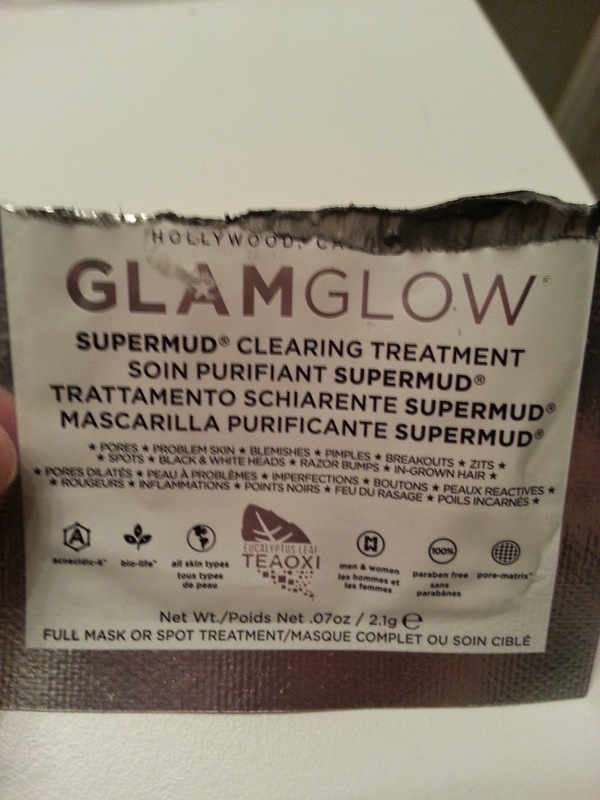 I really like it, and I will repurchase it, once I get through the pile of other cleansers I need to get through! Apparently this is older packaging. I've had this for awhile. I did a review for these back in November, I believe. I hated them. They were thin, rough, and just not comfortable to use. They were like using damp dryer sheets. I haven't seen them for sale anywhere else, and even if I did, I definitely wouldn't buy them again. Never again. 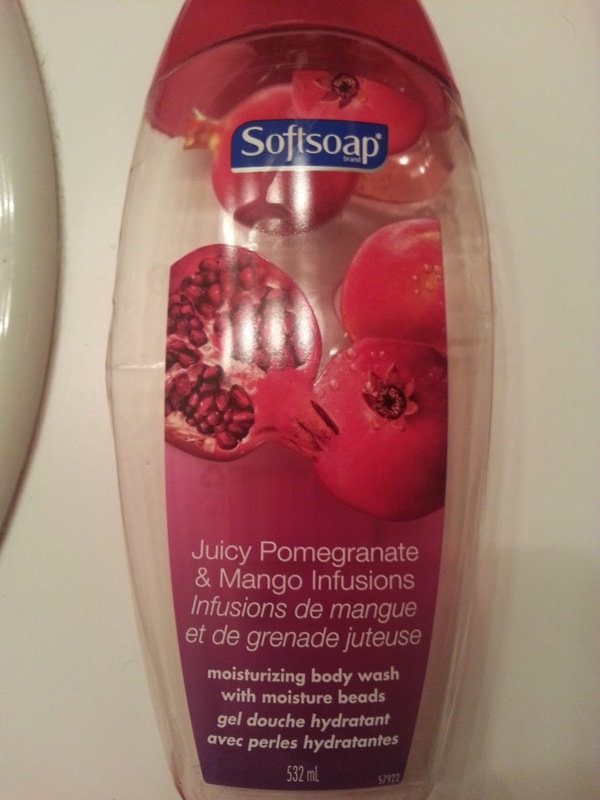 This body was is in the scent Juicy Pomegranate and Mango. And while I LOVE the many different scents that Softsoap has, there is something in this particular body wash that gives me hives. I'm not sure if it is the beads or what, but no matter what scent I try, with these beads, I get little itchy bumps, especially on my arms. I've been using other brands without this issue. This was the last of a few bottles we had purchased because they were on sale. I will probably repurchase, only because they go on sale for a good price, and other people use this in my house. I believe this came in my bag of samples from my Sephora purchase awhile back. I really liked the tinglexfoliant mask, so I couldn't wait to try this one out. It says you can use it as a mask, or a spot treatment, and I ended up using it as a mask. I didn't feel or see much of a difference in my skin after using it, but I guess it's hard to try when you only get one use out of a sample. Anyway, I wouldn't purchase it, just because I preferred the Tinglexfolaint mask, and it's pricey. I picked this up awhile ago from Sephora because my skin is always in need of some moisture. I read online that you could use it on your hair, your face, your skin, and it would be beneficial and add more moisture to those areas. On its own, this does pretty much nothing for me. There isn't really a scent to it, and it can be a little greasy, but I don't mind that as much as other people do. I wouldn't repurchase this because it is pricey, and I've been adding it to my moisturizers. I haven't noticed anything different with my skin, and it feels just as dry, so this one didn't work for me. 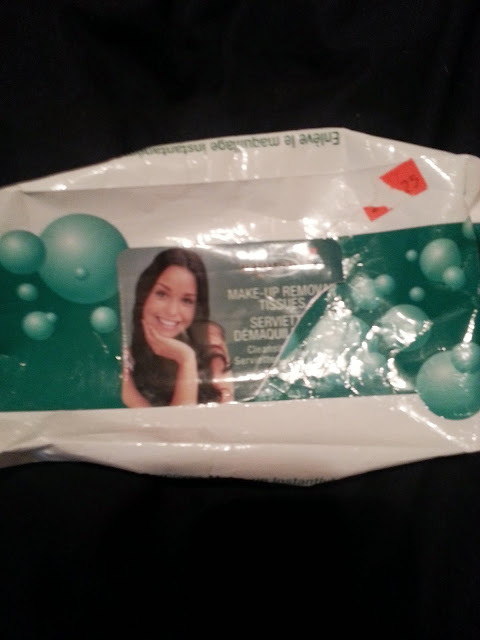 I loved this softener. I received this sample a few years ago with a gift with purchase. Every so often I will pull it out and use it. 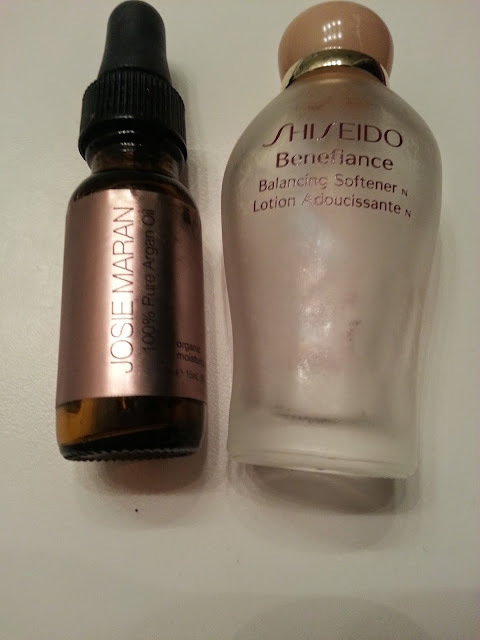 My best skin days were when I used this with my Shiseido Benefiance Revitalizing Cream, which has been discontinued, and I've never been able to find something that works as well for my skin. I won't stop complaining about that either, so Shiseido, PLEASE bring it back to Canada and the US. Anyway, I'd repurchase this, just because it's so gentle on my skin, and it is more moisturizing than your typical toner.